At Stemtech, we do not sell our products in stores. Instead, we pay Independent Business Partners (“IBP’s”) —people just like you— to help share our products and income opportunity with others and pay commissions on products sold. Our global Business Partner team includes people from all walks of life: students, doctors, retirees, and at-home parents alike enjoy the benefits of the Stemtech opportunity. 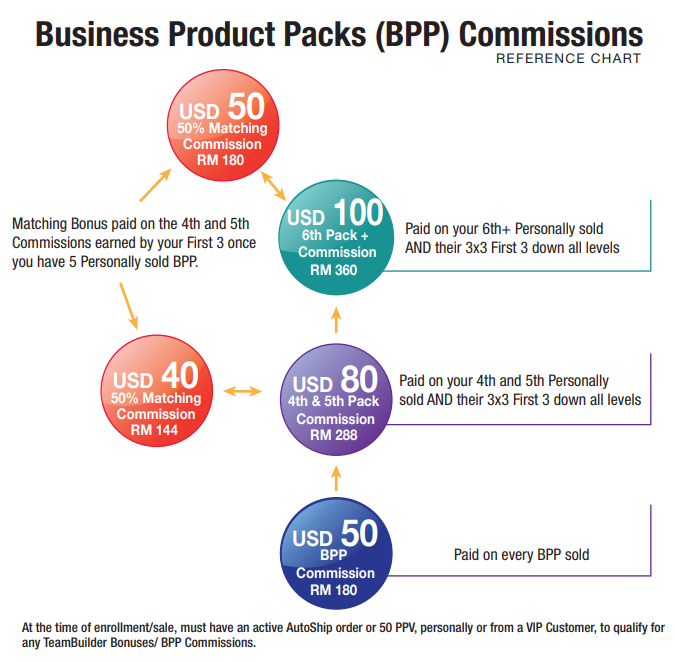 A one-time Business Product Pack Commission is available each time you sell a one-time BPP to a Business Partner. This program pays generous upfront Pack Commission, Extra Commissions for number 4 and 5 in width who buy a BPP, Extra Commissions on packs 6+ in width, PLUS a Matching bonus payable on your First 3 (“F3”) BBP’s who earn 4TH plus commissions. BPP Commissions are paid weekly. Qualification requirement: Purchase a BPP and have a minimum of 50 PPV monthly activated (minimum of one bottle) to remain active and qualify for BPP Commissions (Personal VIP Customer AutoShips count towards this qualifier). 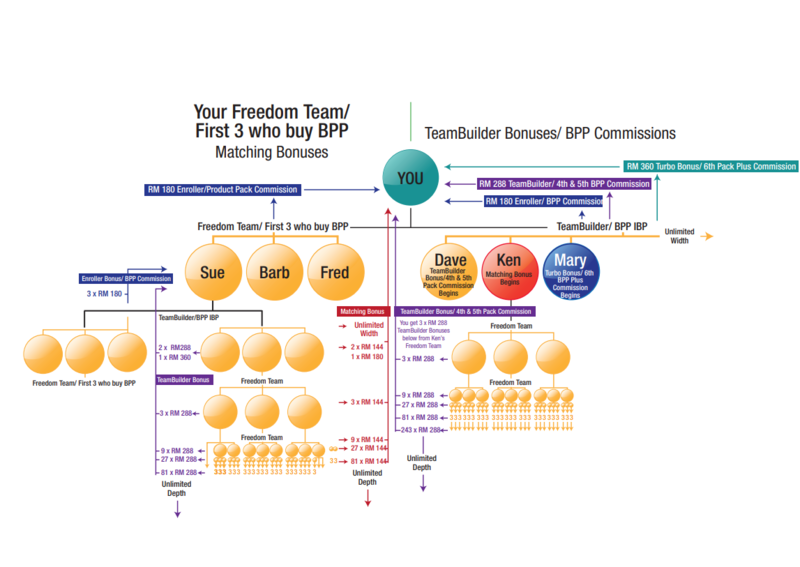 THE POPULAR WAY TO BECOME A BPP COMMISSION EARNER! This pack has great buying value and triggers great additional commission potential. 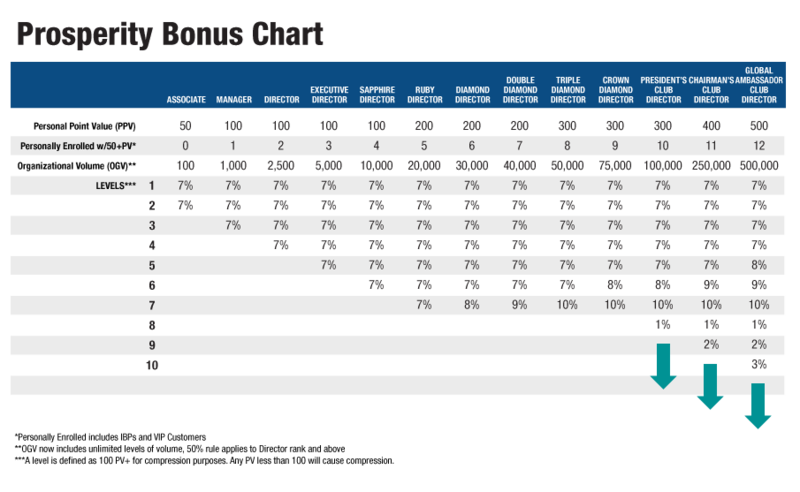 The Prosperity Bonus Plan pays out 7% - 10% on ALL Business Partners’ monthly orders up to seven levels deep, PLUS 1-2-3% Infinity Bonus if qualified (excluding enrolment orders, VIP Customer orders, paid separately).